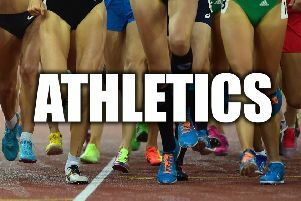 South Yorkshire had four medallists in the English Schools Championships held over two days at Birmingham. Cyane Robinson (Rotherham) had a splendid run in the senior girls 1500 metres finishing runner up in 4:34.36. 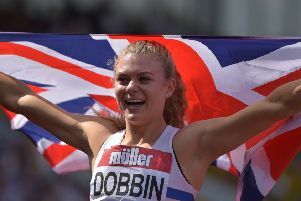 Robinson looked comfortable in her heat, finishing second with four to qualify automatically and ran a gritty race in the final to win a tight race for the silver medal in 4:34.36, a time close to her best. Her South Yorkshire team mate Molly Butterworth (Doncaster) excelled to finish fifth in 4:37.13. Only seventh in her heat, she qualified as a fastest loser, thoroughly justifying her place in the final. Lauren Foletti (Sheffield) had set the tone on the first day when she took silver in the intermediate girls javelin with a throw of 43.94. Melissa Coxon (Rotherham) was runner up in the intermediate 300 metres hurdles. Ranked second coming into the championships, she looked good in winning her heat and produced a personal best of 43.42 for in the final for the silver medal. In the junior boys 300 metres, Joel Vernon (Sheffield) finished third in 36.06. Vernon, who runs for Hallamshire, won the 100, 200 and 300 metres in the Yorkshire Championships early in the season. At the English Schools, athletes can only do one event and Vernon chose wisely. He ran personal best times in both heat and final.